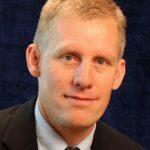 My review of Robert Nisbet’s classic The Quest for Community was just published at the On-Line Library of Law and Liberty, whose stated purpose is “to bring together high-caliber conservative and classical liberal content on a range of legal, political philosophy, and historical questions.” Check out this fine site. The review is republished below with permission. 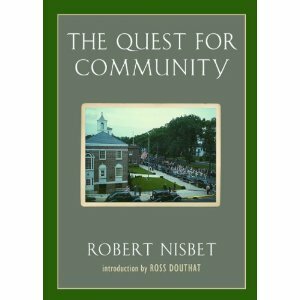 Robert Nisbet’s The Quest for Community, published in 1953, was a vital component in the resurgence of an intelligent conservatism in America. When Nisbet wrote, the world was seemingly divided into two hostile camps. On the one hand, the communist world represented the ascendancy of the centralized state along with a planned economy. The individual was subordinate to the needs of the state and, to many observers on both sides, freedom was replaced by an all-encompassing bureaucracy intent on controlling every aspect of existence. On the other hand, the free world stood for individual liberty and free markets wherein the scope of individual choices were given their greatest latitude. The majority of Americans, and all who thought of themselves as conservatives, clearly saw the danger presented by the Soviet Union and its imperialistic impulse. In fact, perhaps this threat more than anything else served to solidify the right into a more or less coherent collection of political allies. Less obvious, however, was the threat posed by liberal individualism that, in the minds of many, represented the heart of all that was good about the west. Nisbet’s concern was this less obvious threat. Like many mid-century social observers, Nisbet detected a significant change in the air. Where in the nineteenth century discussions were peppered with words like individual, change, progress, reason, and freedom, in the wake of two world wars and the ensuing social dislocation the optimism had dissipated and other words gained dominance: disorganization, disintegration, decline, insecurity, breakdown, and instability. This shift suggests a sea change in the self-understanding of Americans and their perception of the challenges besetting them. Nisbet understood that inherent in all humans is a longing for community. This longing is key to Nisbet’s analysis, for it is his contention that secondary associations—the locus of community in healthy societies—have been steadily eroding and in many contexts have ceased to provide the kind of belonging and stability that they once did. The so-called age of the individual proved more costly than many imagined, for individualism, according to Nisbet, serves to eviscerate the strong ties of secondary associations. The mobile, unfettered individual may be better equipped to take advantage of the economic opportunities created by a dynamic market economy; however, with the erosion of strong communities, the individual finds himself alone. The only community that remains undamaged and shows itself stronger than ever is the state itself. The result is a curious dynamic, one that is at first counter-intuitive: the isolated individual finds himself drawn steadily into the bosom of the state, for despite protestations to the contrary, the individual nevertheless longs for community and the state appears to be the only viable candidate. It is the argument of this book that the ominous preoccupation with community revealed by modern thought and mass behavior is a manifestation of certain profound dislocations in the primary associative areas of society, dislocations that have been created to a great extent by the structure of the Western political State. As it is treated here, the problem is social—social in that it pertains to the statuses and social memberships which men hold, or seek to hold. But the problem is also political—political in that it is a reflection of the present location and distribution of power in society. In 1988, Nisbet published The Present Age. This book brings some of the key themes in The Quest for Community into a clearer light as he focuses on the prevalence of war that has continued quite steadily from WWI. War is, according to Nisbet, a primary means by which secondary associations are broken down and power is centralized. Nisbet also describes what he terms “the new absolutism” by which he means the steadily expanding reach of the national government into virtually every aspect of life. The evidence he marshals in support of his thesis helpfully brings the arguments from The Quest for Community into the context of the late twentieth century. Nisbet clearly owes a significant intellectual debt to Alexis de Tocqueville, who was concerned about democracy’s tendency to promote individualism and with it the centralization of state power. But where Tocqueville’s work is sweepingly broad, Nisbet is more narrowly focused in the history of political theory. Furthermore, because he writes more than a century after Tocqueville, Nisbet is able to take into account the dramatic social and political changes since Tocqueville’s day, changes that include the steady expansion of the warfare state and the welfare state along with the continued emancipation of the autonomous individual. With the steady growth and general acceptance of these factors as a normal part of the American scene, our situation today is even more suited to Nisbet’s analysis than when he wrote. It would not surprise Nisbet in the least that in the decades since The Quest for Community was published, the power of the state has expanded dramatically. As with many similar books, this one is, perhaps not surprisingly, long on diagnosis and rather short on prescription. The solution, however, is as obvious as it is difficult to systematize. Following Proudhon, Nisbet insists that the key is to “multiply your associations and be free.” The social space necessary for the development and flourishing of secondary associations must be created. This suggests the need to limit the scope and reach of the centralized state. This is an obvious problem that is much easier to describe than to remedy. While Nisbet does not fully develop this line of thought, he does argue that the old laissez faire of individualism has proven inadequate, and a new laissez faire is needed, one that acknowledges the freedom of autonomous groups. Ultimately, his description sounds strikingly similar to Madison’s argument in Federalist 51. Here Madison argues that each branch of government must be given “the necessary constitutional means and personal motives to resist encroachments of the others.” Madison takes it as a given that power seeks to expand, and this expansion is only limited when it is opposed by a roughly equal power that is capable of protecting its prerogatives. The result will be a perpetual power struggle between various centers of power. It is the continued existence of this array of intermediate powers in society, of this plurality of ‘private sovereignties,’ that constitutes, above anything else, the greatest single barrier to the conversion of democracy from its liberal form to its totalitarian form….The most notable characteristic of this whole array of social authorities in European history has been the ceaseless competition for human allegiance that goes on among them. Two important concepts emerge. First, liberal democracy bereft of a robust array of secondary associations will likely evolve into a form of government that, while retaining the outward trappings of democracy, will be at heart totalitarian. While the language of totalitarianism seems a bit hyperbolic to us living in a post-Soviet world, Nisbet was not alone in his concern that liberal democracy could, in fact, deteriorate into totalitarianism. Writing roughly at the same time, Eric Voegelin employed similar language. He argued that liberal progressivism represents a gnostic set of ideals that would eventually slide toward totalitarianism. In the field of economics, Friedrich Hayek argued that the modern liberal welfare state was a subtle road to serfdom. While notions like totalitarianism and serfdom do not strike the same visceral fear they once did, Tocqueville himself was not primarily concerned with the boot-in-the-face oppression of the power-grasping tyrant. The kinder, gentler despotism of the benevolent, all-encompassing nanny state was his ultimate worry. To the extent that Nisbet follows Tocqueville, we should assume this creeping statism is the true implication of his thought, and perhaps we can forgive him for his promiscuous use of the language of “totalitarianism” as merely a product of the general worries of the Cold War. The implication of this line of argumentation is clear: liberal democracy cannot survive apart from a thriving network of secondary associations. However, to the extent that the logic inherent in liberalism points to an emancipation from all constraints, vital secondary associations will suffer, for associations both enable action even as they limit the range of possible actions. The tension is obvious, and as the precarious nature of the liberal project comes into focus, the difficulty of inaugurating a new era of laissez faire that emphasizes the autonomy of groups rather than the autonomy of individuals is only heightened. Nevertheless, this is precisely the task Nisbet sets before his readers in the concluding pages of his book. Significant work is needed to flesh out this new vision, yet to the extent that Nisbet’s description of the statist tendencies inherent in liberalism is correct, his tentative alternative merits serious consideration. This line of inquiry continued to occupy Nisbet throughout his career. In his book, Twilight of Authority, published in 1975, Nisbet develops some of the same ideas he treats in The Quest for Community; however, he dedicates a substantial final chapter to solutions, including such notions as the recovery of pluralism, functional autonomy, hierarchy, kinship, localism, and voluntary associations. This chapter, then, provides a helpful complement to the rather sparse suggestions made in the final pages of The Quest for Community, and at the same time indicates the degree to which the problems first identified in that book vexed Nisbet for decades. Fortunately, the edition of The Quest for Community recently published by ISI Books includes a superb introductory essay by New York Times columnist Ross Douthat, which aptly places the book in its historical context and within the on-going story of American conservatism. Furthermore, three critical essays serve to refine Nisbet’s argument and suggest ways that it is limited even as they show Nisbet’s continued relevance to American politics. If nothing else, these critical essays stimulate further reflection on the accuracy of Nisbet’s diagnosis even as they force readers to creatively consider avenues for revitalizing a plurality of vibrant autonomous communities in an age characterized by the monolithic nation state and animated by an enthusiasm for globalization. These are just thoughts as they arise (don’t take them too seriously, but I’d certainly appreciate your response). This too was seen by virtually all marxian humanists ranging from Erich Fromm to Raya Dunayevskaya to Herbert Marcuse and anarcha-feminists like Emma Goldman, not to mention all anarcho-communists who could never fall for any State, even a “Worker’s State.” The irony of the Soviet Union was that the original councils (“soviets”) were unplanned and were a surprise to Trotsky and Lenin alike, who both had to react and attempt to co-opt them. Having successfully redirected these voluntary secondary associations and purging all “unorthodox” groups by absolute violence, these associations were transformed into State tools. The neo-czarist counter-imperalist state-capitalism of the Soviet Union was easy to see. But with democracy (direct or representative), tyranny is always tyranny even if it is tyranny by the 99% of the 1%. Not to mention how watered down our “democracy” is these days. Population has grown while representation hasn’t, therefore representation is weaker than ever — and any “totalitarian” trends of democracy remain in the hands of that proportionally tiny group of politicians/businessmen. Is this true? It seems pretty clear that competition leads to consolidation. The Supreme Court seems to be the final word (unless my recollection of history fails me). The consolidation seems to have already occurred. Competition in nature looks like the choked scrub where there is not a single healthy tree or plant to be see. Yes, one might say, “My, how tall are these trees!” but they are unhealthy, strangled, and wasting energy competing where they might be collaborating. I’m currently thinning out a manmade monstrosity which was meant solely for profit. The former owner planted exclusively hardwood cherry trees and the result is that none are fit to sell for lumber and they are so densely planted that the habitat provided is negligible. Regarding competition, if my neighbor is raising heritage pigs, I won’t because that’s a waste of energy, not to mention graceless. Unions are a good example of secondary associations, but since banksters in the 1920s onwards decided that homeowners don’t strike, these have become impotent. And even where unions succeed in improving the conditions of labor or wages, this only accelerates globalization by making outsourcing all the more appealing. If powerful secondary associations like unions only make things like NAFTA expand, what are we to do? If the middle class (petit bourgeoisie) is a group of people who (A) own a house outright, and/or (B) own a shop outright, then there is no more middle class and Obama is only exterminating what was left of it. We do not own our homes, we do not own our cars, our land, even our education. There is no longer and middle class proper — at least, I don’t know any of them. I wish I did! For that matter, I don’t know any of the bourgeoisie. The call to secondary associations is one of: organize, organize, organize! And I completely agree. In other words, only by secondary associations and a spiritual revolution will this process be altered. Every association one joins corrodes the State. Every act of kindness — or gratitude — erodes that monolith called the State (lo stato in Italian originally meant the government and the ruling class). So, based on Nisbet (or your take on Nisbet), what should I do? Its been a while since I last read Quest for Community, does he also talk about economic subsidiarity? Restoring political limits should, I think, require also restoring economic limits; to do the former without the latter would possibly make things worse. Still, to have written in 1953, “It is, I believe, the problem of intermediate association that is fundamental at the present time,” is a mark of singular wisdom. Some anarchists are communitarian. Anyway, Nisbet was very open about his appreciation for certain anarchists. And no less than Henri de Lubac, SJ, devoted a book to Proudhon. Most anarchists are “communitarian”, I’d say. Anarchism is a brand of socialism (not this prefix which now gets applied to everything) which is more often a form of “libertarian socialism” or “communitarian” sentiments almost all of which reinforce the Commons (environment, justice, liberty, etc.). I believe Joseph is right: Nisbet is not in the least bit shy about his appreciation for a number of anarchists. Pacifist Gustav Landauer said: “Anarchism is the negative side of that which, positively, is called socialism.” If socialism (properly understood) is workplace democracy or a restoration of the Commons, this might not be such a bad thing. Many anarchists sought consensus, a goal which requires persuasion and dialog — unlike a simple plurality democracy. Despite the magical nature of the terms “anarchism” and “socialism” (we are all still McCarthyites), there is more than a little to be learned from anarcho-syndicalism, situationists, anarcho-marxism… on and on. William T. Cavanaugh has taken up many of Nisbet’s themes, albeit in a somewhat more radical way (and more power to him). And what if consensus was not to be found? Shoot the dissenters then? A Natural Law State does not mind associations, only a despotic one does. Not all associations are good too; an association of thieves or pornographers should not be encouraged. Consensus amongst anarchists is an oxymoron. It is a principle virtue. Late to the game here, but a couple of points: first, to the two final posters above me, please dispense with the wisecracks about anarchism. Voluntary consensus is at the heart of anarchism, just as good order is at the heart of anarchism (as Proudhon said, liberty is the mother, not the daughter, of order). And as others have pointed out, communitarian values are central to most anarchist projects (though, like pretty much all Western permutations of political thought, all brands of anarchism, including them mutualist/anarch0-distributist sort I adhere to, has a hard time resolving the individual/collective tension). There is vastly more to anarchism than punk kids throwing rocks or whatever (though there is that, I won’t deny). Stewart already mentioned him, but if you haven’t you really should read some Gustav Landauer for a little glimpse of the potentialities of anarchism. Second, I have found that, at least in my own thinking and sentiments, a sort of ‘conservatism’ coexists and indeed acts in symbiosis with my more ‘leftist’ and ‘radical’ libertarian sentiments; the presence of both, I think, can- and I don’t claim this for myself in some absolute sense, obviously- act as critical agents on the other as well as mutual sources of vigor and sites of overlapping concerns and ideas. Nisbet is an instance of this potential symbiosis; I would argue, from my side of things, that any viable anarchist/libertarian project anywhere would have to draw upon communitarian, ‘conservative’ values and methods to thrive. Grassroots struggles in much of the ‘developing world’ in fact reflect this fact, especially among peasant resistance ‘movements’: resistance to the state and global capital is framed by and for local communities. Third, in response to Stewart on competition: ‘competition’ in nature is pretty indispensable; so are processes of ensuring balance and equilibrium in a world of diverse multiplicity and interconnectedness. Competition and mutualism are both central to the natural world. Now, how much this should influence our views of the human political world may or may not be relevant; I would suggest however that thinking about the ways natural ‘systems’ work can be helpful to thinking about ways human ‘systems’ work or can be moved towards working. Markets are one instance of this: if we think of markets (in lots of possible configurations) as ecological systems, I think we can start to free ourselves of both the anti-market fervor of much of the left (and some of the right) and of an uncritical (specific sort of) market fundamentalism of some libertarians and rightists.